(Toronto, ON) – July 27, 2010 – Ten years ago Toyota launched a new kind of car in North America. It was the Prius, an affordable car with a hybrid gas/electric powertrain. 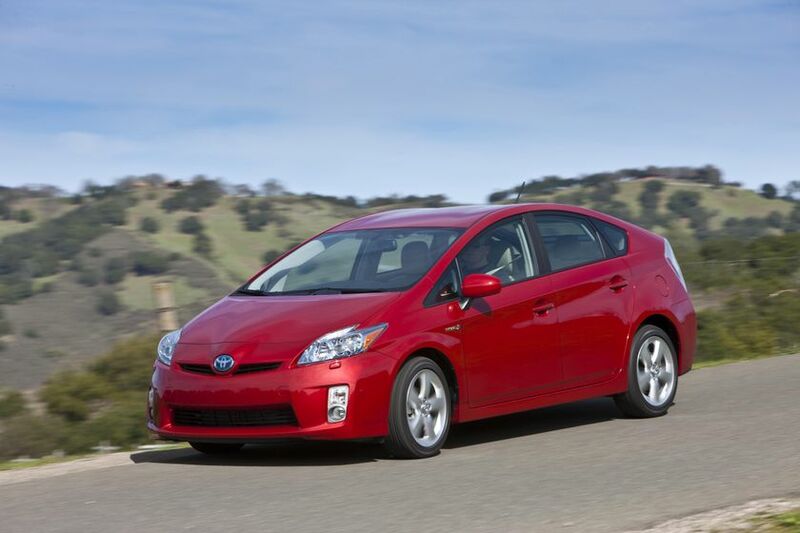 In the decade that followed, the Prius made an indelible mark on the automotive industry. The car with the signature wedge shape proved to be an agent of change, and a catalyst for innovative ideas. Over 1.8 million units have been sold in the world to date, over 20,000 of which have been sold in Canada. Toyota believes that the best environmental solutions are those that are readily adopted by consumers, and the Prius has been a success in that regard. The first Prius came to North America in July of 2000. In the 10 years since its launch, there has been a significant shift in favour of increased manufacturing and adoption of more sustainable vehicle technology. Today in Canada there are nearly 23 hybrid models on the road from 11 brands, with more on the drawing boards. Many of the patents filed during the development of the original Prius are now licensed to manufacturers who also take advantage of Toyota’s initial R&D investment. Nevertheless, almost one out of every three hybrids on Canadian roads is a Prius, which remains the benchmark to which all hybrid cars are compared. The over 20,000 Canadians who chose to drive a Toyota Prius versus the average car of the same class have prevented an estimated 190,000 tonnes of CO2 from entering the atmosphere, conserved approximately 80 million litres of gas, and saved an estimated 80 million of their hard-earned dollars*. Widely characterized as environmentalists, early Prius adopters were actually more likely to be tech-savvy professionals. Those first owners, well aware of public events and global developments, were conscious of the impact of their own choices. They became articulate advocates for the technology. Driving a Prius delivered a new kind of satisfaction, based on a new set of values. It was a car enriched with advanced features, in tune with global issues that assumed greater importance every year. It provided an affordable transportation solution that earlier all-electric cars did not, as it was able to use existing infrastructure without concerns for recharging or range limitations. Today, the Prius has become a mainstream vehicle. It is an icon for the company that speaks to our leadership in the area of sustainable mobility. Each generation of the Prius has moved the bar higher. 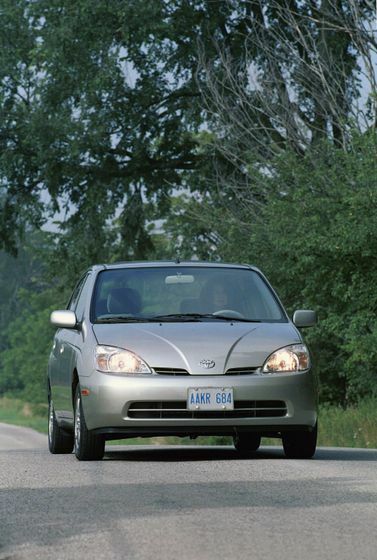 When the first-generation compact Prius was launched in 2000, buyers got 97 combined horsepower and were told to expect combined city/highway fuel consumption of about 4.5L/100km. 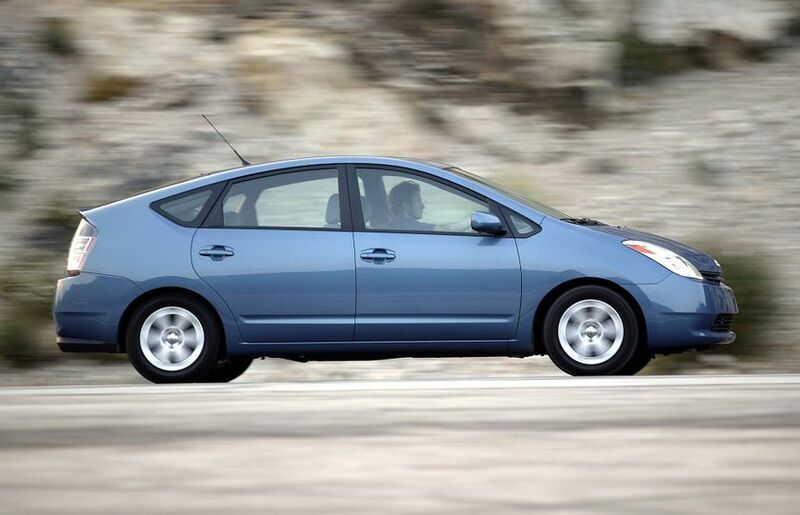 Ten years later, the midsize Prius has 134 horsepower and delivers fuel consumption of just 3.8L/100 combined. Improvements have been continuous. 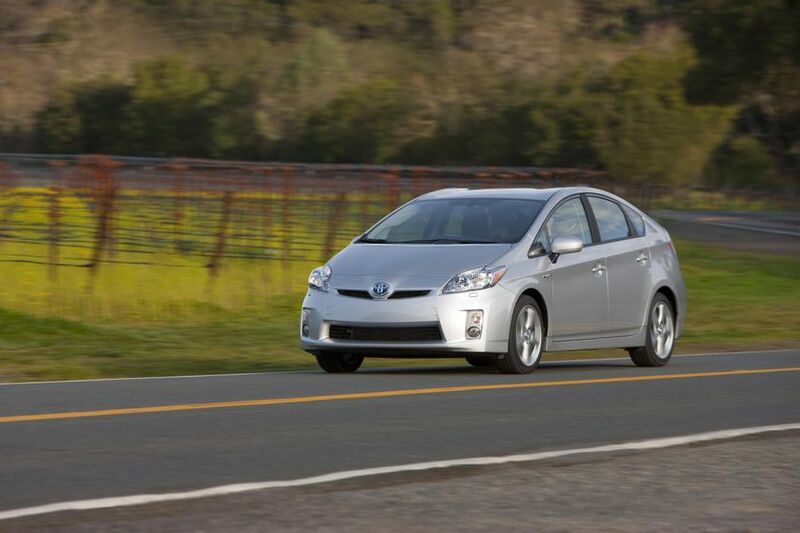 Compared to the original car in 2000, the 2010 Prius is bigger, faster and even cleaner. With over 1,000 patents covering innovations in the current 2010 model like the solar powered ventilation system, the Prius’ continues to be seen as a harbinger of future trends and technologies. As time went on, the media gained a better understanding of Prius. The editors of Motor Trend magazine, in naming the Prius “2004 Car of the Year,” were “thoroughly impressed with the Prius as not only a technological marvel, but as a truly liveable sedan.” The Car Connection described it as “Nothing less than the world’s most sophisticated powertrain ever delivered to ordinary customers.” Highly visible celebrities became owners, helping make Prius an aspirational eco-car. The development of the original Prius, like sending a man to the moon, was a daring project with many breakthroughs and discouraging setbacks. What started as a conceptual exercise between a few planners and engineers ultimately became an intently focused, determined corporate priority. Creating the vehicle that became the Prius was accomplished in a relatively short amount of time through use of computer models to design and prove ideas. By minimizing the use of prototypes, Toyota engineers changed the way cars are designed and built. Many of the components had to be invented from scratch. Those that had already been invented, such as regenerative brakes and electronic power steering, needed to be improved and adapted for mass production. Global standards for electronic components had to be set, and new software written. A total of nine on-board processors were needed to manage the power delivery between engine, battery, brakes and motor/generator. Many motors and batteries were developed, tested, and discarded before they could be proven. Engines had to be converted to run on the more efficient Atkinson Cycle to power a new, unique transaxle. A completely new type of instrumentation had to be developed. With the Prius, there was a need to monitor the interplay between the engine and the battery, leading to a display that kept the driver informed of his status on both counts. The new instrumentation empowered the drivers to improve mileage by altering their technique, turning driving into an interactive game. Today, mileage feedback displays are in use on almost every new vehicle on the market. Unprecedented quality-control standards had to be instituted as motors and batteries that had been reliable enough for stationary use proved vulnerable to heat, cold and vibration. Multi-million-dollar joint ventures were established in order to assure the G21 Project, as it was called, could one day lead to a mass-produced vehicle. These investments were made in an automotive environment that was dominated by sales of trucks and SUVs. Through it all, Toyota management remained convinced that their goal of combining fuel efficiency with environmental performance would one day be appreciated. There may be many futures for the Prius and Hybrid Synergy Drive but one significant advancement, the Prius Plug-In Hybrid (PHV), is already here. The car is designed with small Lithium-Ion battery packs that will help the PHV produce even less greenhouse gas emissions than conventional hybrid vehicles. A fleet of Prius PHV’s are now in test trials in Canada, as part of a larger global Toyota demonstration program. As the first Canadian test trial of advanced technology vehicles that is truly national in scope, five Prius PHV’s will hit the roads with 15 trial partners in 4 provinces. Representing academia, power authorities, governments and municipality stakeholders, these partners will work together with Toyota Canada to better understand how consumers adopt this new technology. Each test vehicle will be fitted with a telematics device to capture performance data. This feedback will deliver critical technical and consumer acceptance feedback of the Prius PHV, unique to the needs and wants of Canadian drivers. A commercial PHV is expected to go on sale in 2012. Longer term, Hybrid Synergy Drive components and software provide a direct bridge to clean, efficient drivetrains of the future. And while breakthrough technologies are on the horizon, continuing gains in battery technology and internal combustion engines keep the Prius competitive. Even in a world of alternative fuels, electric cars and hydrogen fuel cells, it’s a good bet that Prius cars based on Hybrid Synergy Drive will be around for a long time to come. 1990: Meetings begin concept work on Project G21, “a car for the 21st Century”, in Toyota City and Higashifugi Technical Center. Fuel economy target was 20 kilometres per litre, about 50% better than other passenger cars of the time. 1994 (July): G21 Project, Phase III begins, accelerating development for production of the Prius parallel to development of Toyota’s experimental hybrid system. 1995 (June): Toyota Hybrid System approved and code-named 890T. 1995 (October): Hybrid concept Prius displayed at Tokyo Motor Show with propulsion system described as Toyota-EMS (“Energy Management System”). 1996 (December): Anticipating the future EV and hybrid vehicle market, Panasonic EV Energy was established as a joint venture between Matsushita and Toyota. 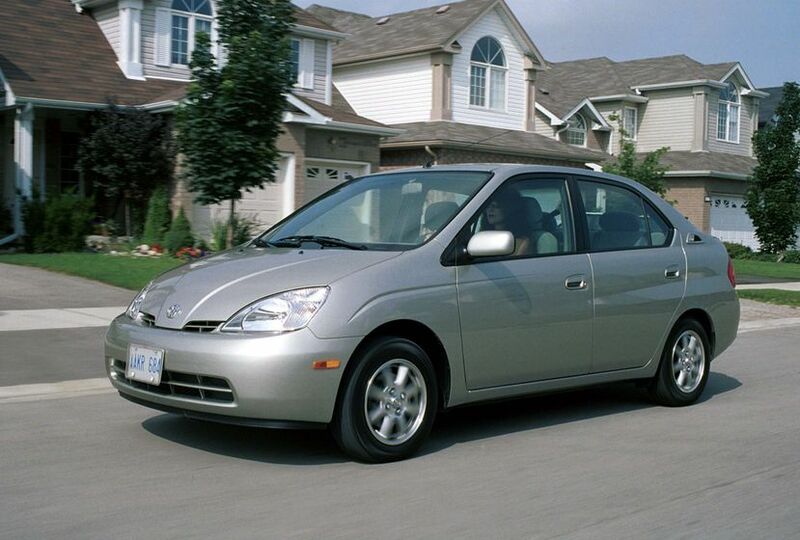 1997 (December): Gen 1 Prius launched in Japan after a final design period of 17 months. Wins Japan Car of the Year award and Global Climate Protection Award from the U.S. EPA, among other accolades. 1998: Announced in July that Toyota would export 20,000 units annually to North America and Europe. 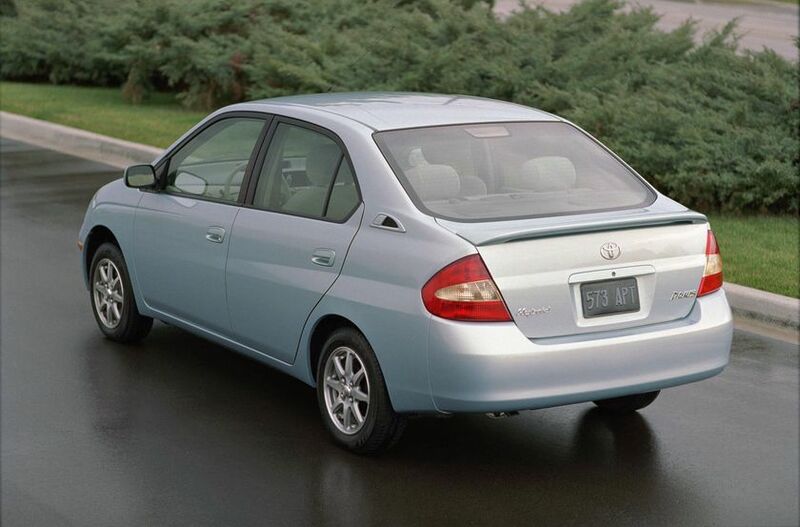 2000: Post-Prius era of automotive history begins. From this time on, the concept of environmental performance begins to take root. 2004: Second generation Prius launched, called “Car of the Year” by Motor Trend Magazine. 2008: National average gas prices hit $1.40 per litre; cumulative Prius sales worldwide surpass 1 million, 10,000 in Canada alone. 2009: Third generation Prius launched as 2010 model with larger 1.8-litre engine, 0.25 coefficient of drag and fuel consumption of just 3.8L/100km combined. 2010: Prius Plug-in Hybrid global test trials begin; the Toyota Hybrid Synergy Drive powertrain featured in the 2010 Prius wins “Green Engine of the Year” from the 2010 International Engine of the Year Awards; Prius wins ecoENERGY for Vehicle Awards for 10thyear in a row.